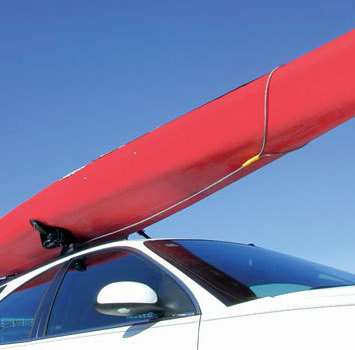 If you're traveling anywhere with your kayaks or canoes strapped to the roof of your car or in the back of your truck, you should really check out our cable canoe locks and kayak locks. I hate to say it but you really don't want to see your gear walk off! Here's how the locking systems work: each cable locking system comes with 2 cables. 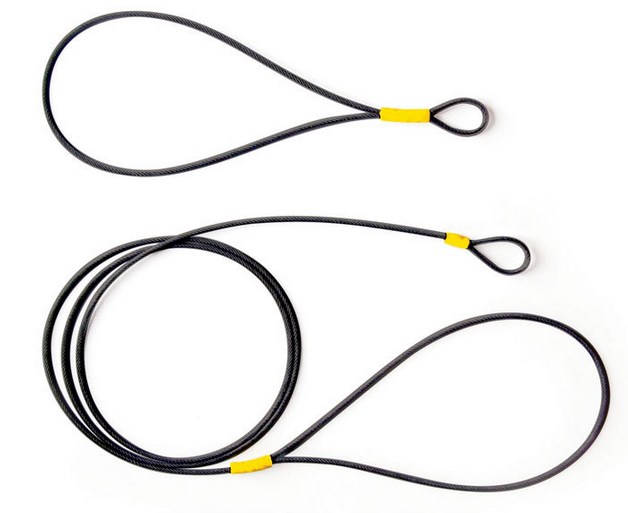 One end of each cable is a big circle (like a lasso) that you loop around the hull of your boat. At the other end is a very small loop. You wrap the big end of each cable around each front and back hull of your boat, through something secure, and then use a padlock to lock the two small loops together, which locks the cables and your boat safely and securely in place. Small Kayak Lock is 9ft lock and is designed for smaller kayaks. Large Kayak Lock is 12ft long and is better for longer kayaks. Canoe Lock is 14ft long for canoes.